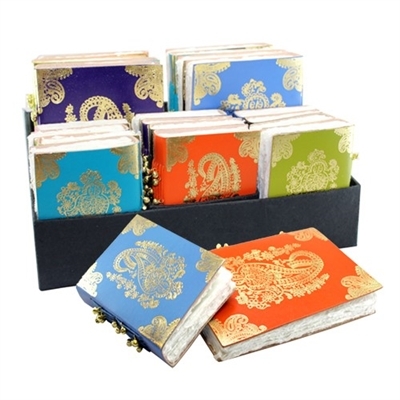 Assorted display of colorful leather journals with gold embossed paisley designs on cover and back. Cute gold bell beads bound to each journal's spine. Hand bound with natural pressed paper.. Comes in a mixture of orange, green, blue, purple and black.